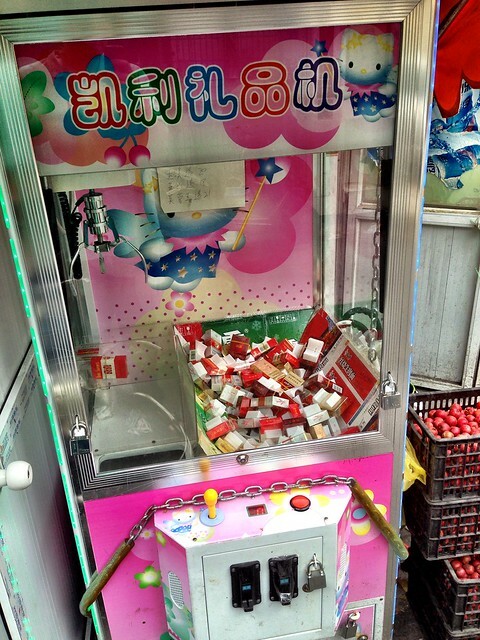 I think we’re all familiar with the “claw crane” arcade game, whereby players are suckered into spending lots of coins trying to pluck a stuffed animal or plastic-encapsulated toy out of an enclosed box using a (very hard to control) mechanical crane. 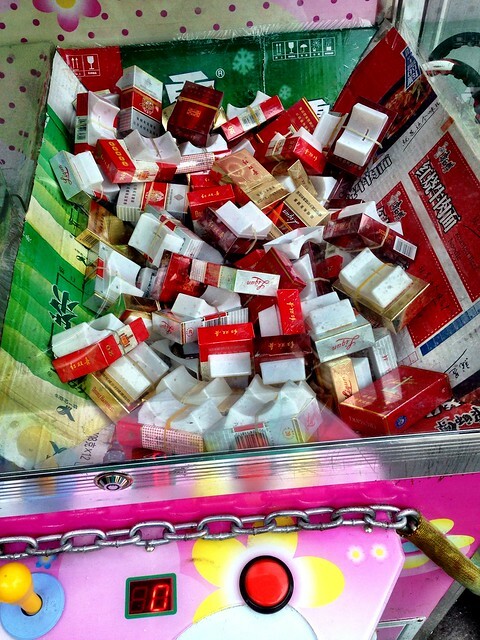 The two main domestic cigarette brands in the box are 利群 (Liqun) and 红双喜 (Double Happiness). It’s a bottled green tea box and a instant noodle (红烧牛肉面) box propping up the fun prizes. The crane machine full of cigarettes doesn’t surprise me at all, but I think it’s hilarious that it’s in the Hello Kitty machine!